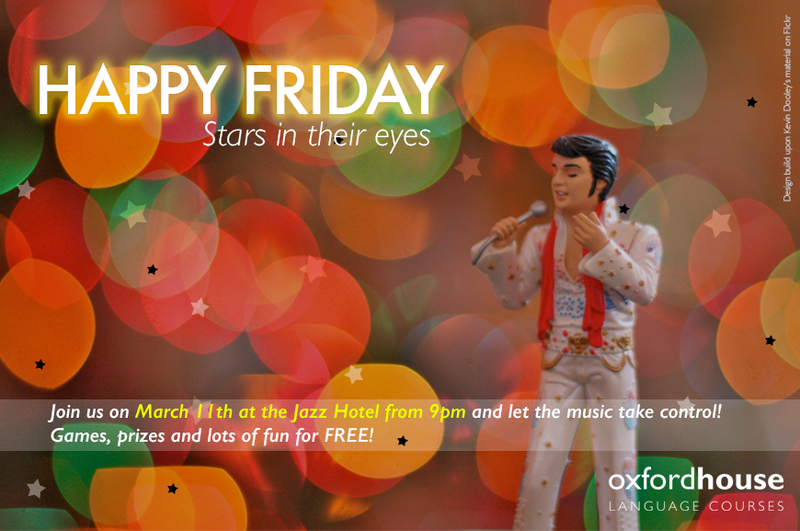 That’s why Oxford House invites you to the Hotel Jazz, next Friday 11th March, to play some games and find out for yourself! Ever wanted to become your musical idol? Whether it’s Sinatra or Shakira, all genres of musicians welcome at this hootenanny! Just think Tu Cara Me Suena or Stars In Their Eyes (as it is in England).